Header / footer notification bars are effective on every website. It was Hello Bar that popularized it of course, but today there are so many plugins that provide similar or even better functionality. In this post we compare two such plugins WP Notification Bar and our own Icegram. The one page quick configuration panel in both WP Notification Bar and Icegram allow you to setup an action bar in 60 seconds or less! Icegram provides a unique feature – a headline generator. Clicking on the idea bubble instantly gives you a new “fill in the blanks, and ready to use” headline. These headlines are proven to convert and make the task of working on your marketing message much easier. 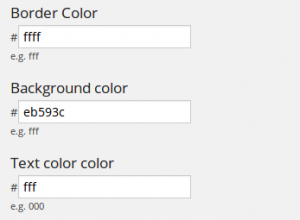 If you compare customization options – setting up colors for various elements etc., WP Notification Bar does not provide a color selector, but a text field where you put in hexadecimal color values. Icegram provides an easy color picker. 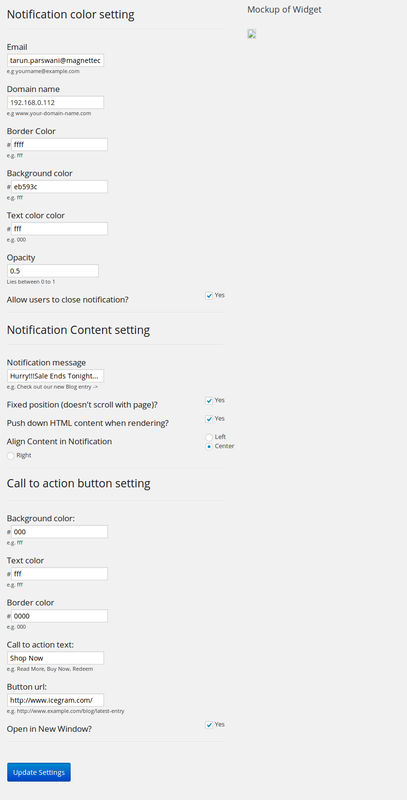 But WP Notification Bar provides color options for more elements – border, background, text and call to action button details. 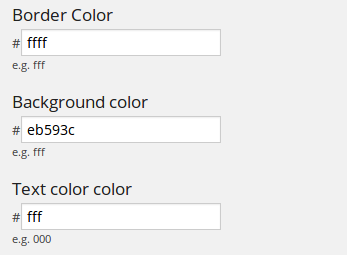 Icegram keeps it simple, and gives color options for background and text. Icegram includes four different designs for themes – apart from the ability to customize colors. This is a great feature and makes your notification action bar make look different from typical Hello Bar look alikes. If you want your notification bar to be translucent, you can set an opacity value in WP Notification Bar. 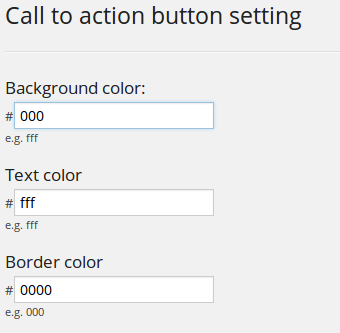 Icegram does not provide a setting for this, but you can do it by adding custom CSS in your message content. WP Notification Bar can only be placed at the top / header of the page. Icegram action bars can be placed either at top or bottom of the page. 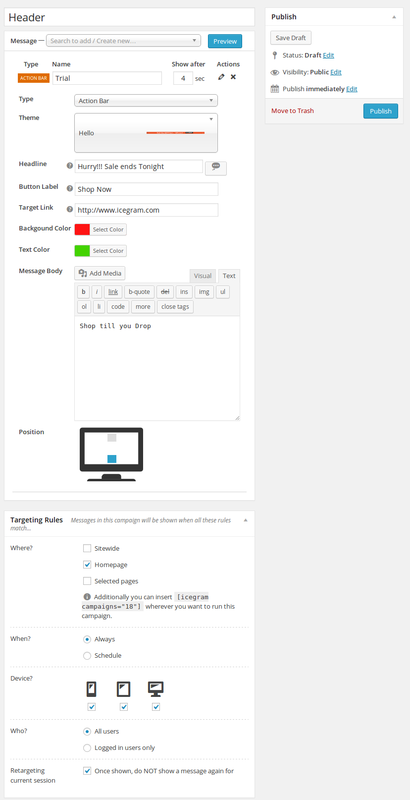 Icegram has flexible targeting rules that help you decide where, when and to whom the action bar should be shown. 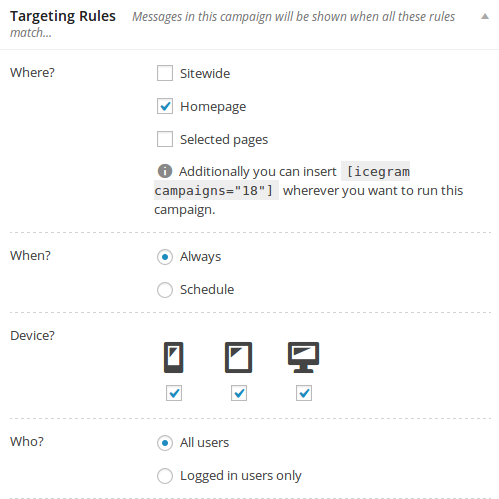 WP Notification Bar provides page and user level targeting. An important thing about Icegram is that it lets you create campaigns. 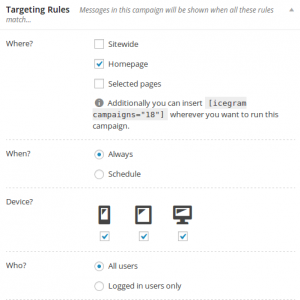 Each campaign has targeting rules. And each campaign can contain one or more messages. These messages can be action bars (i.e like WP Notification Bar, Hello Bar etc) or popups, messengers or toast notifications. Icegram also lets you hide the action bar once the user has seen it for this session. Which is pretty clever. Below is a comparative summary of WP Notification Bar and Icegram.